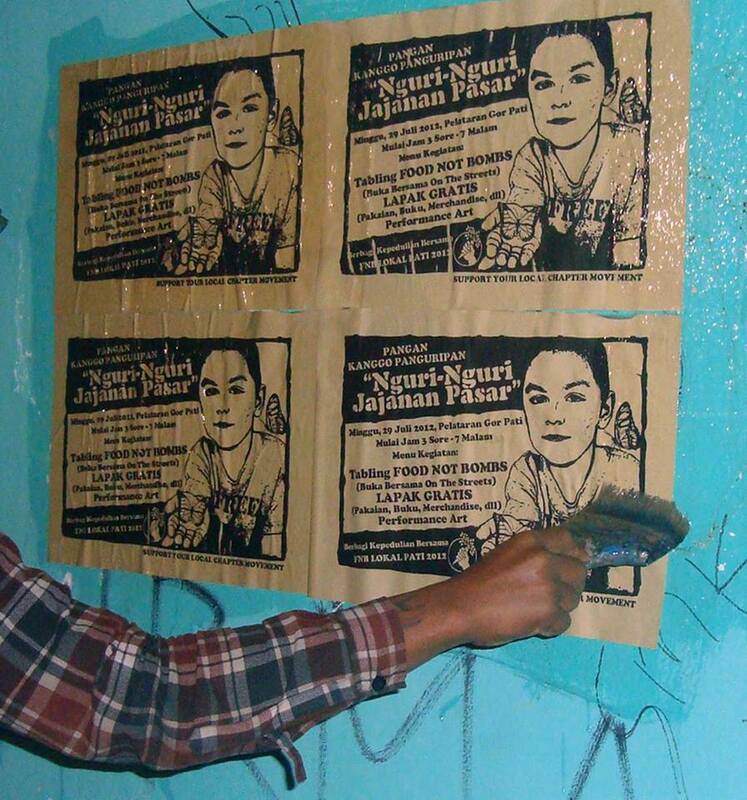 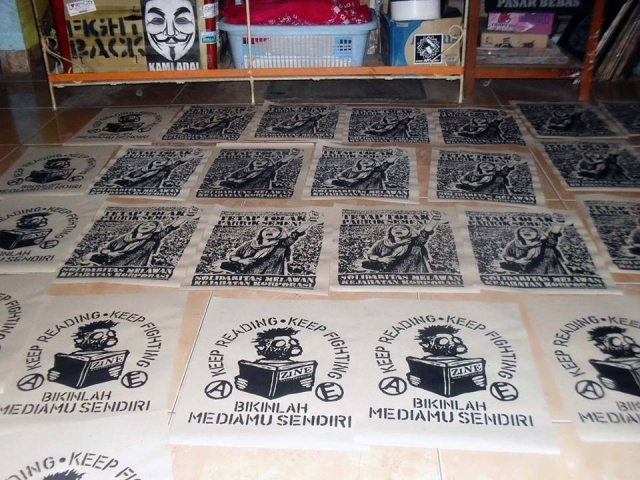 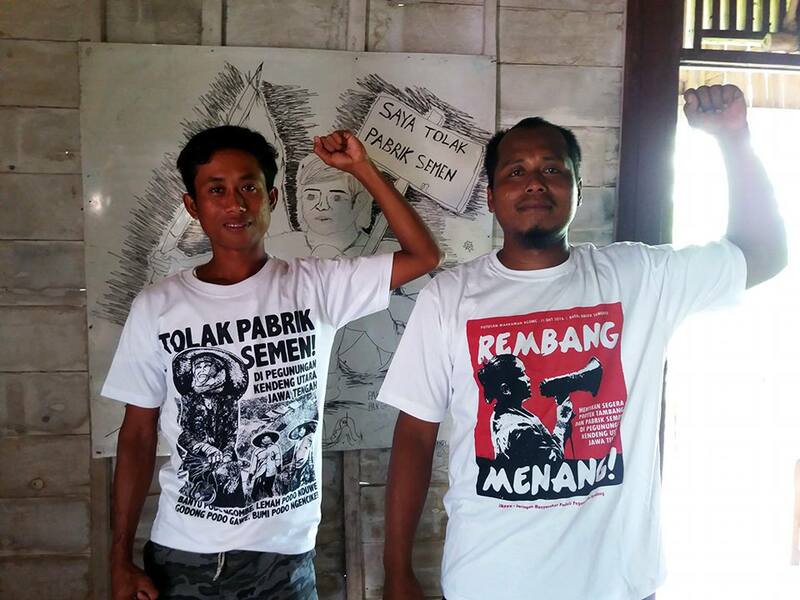 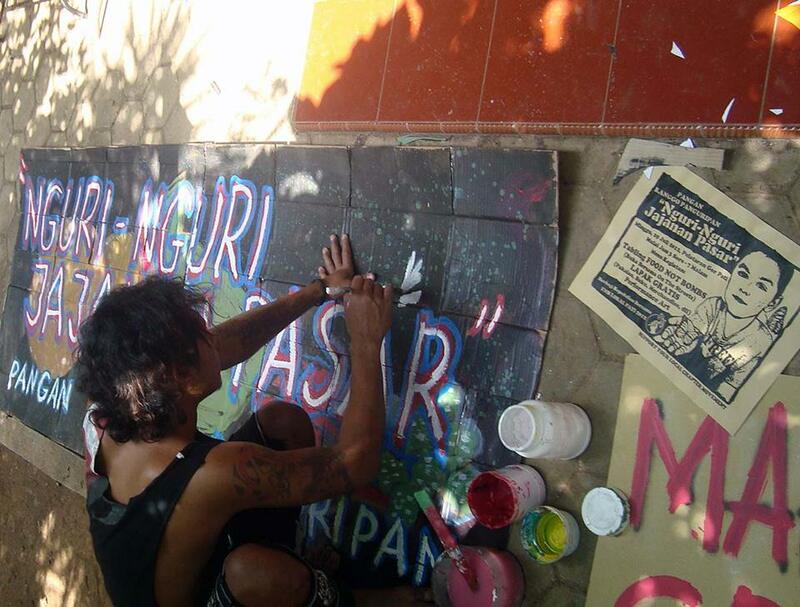 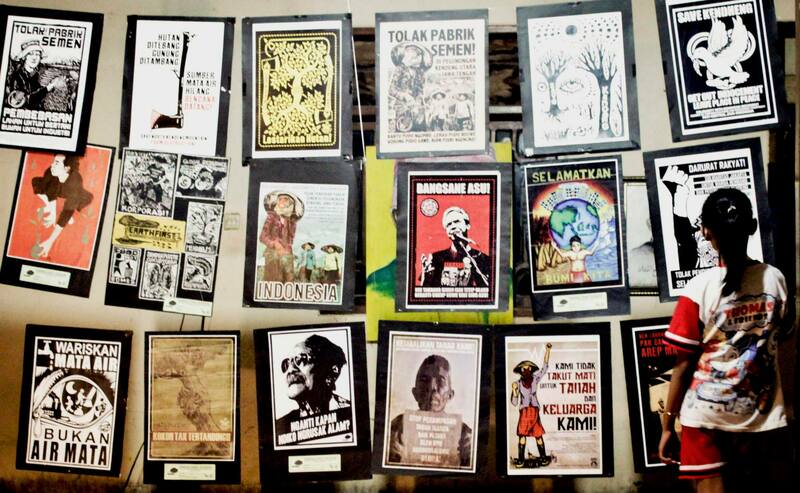 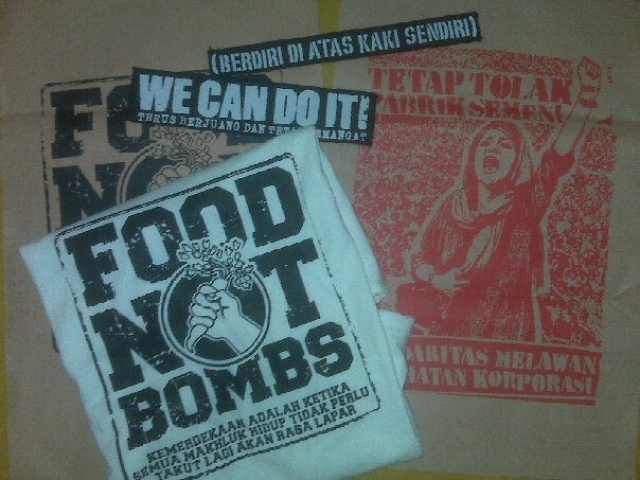 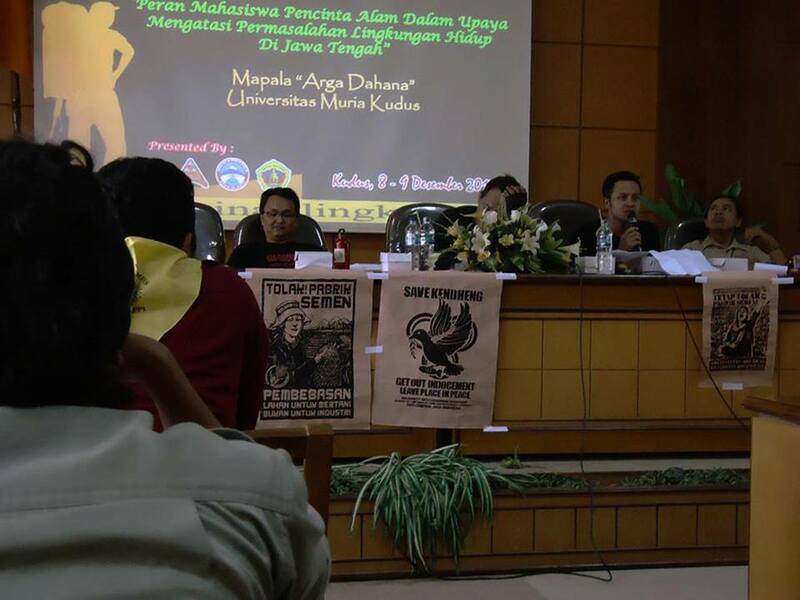 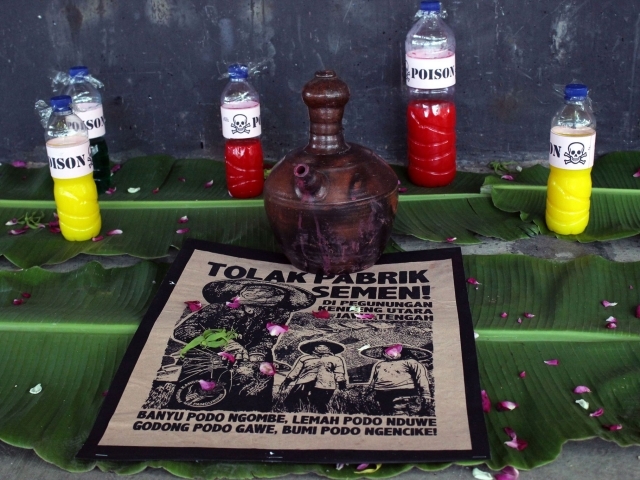 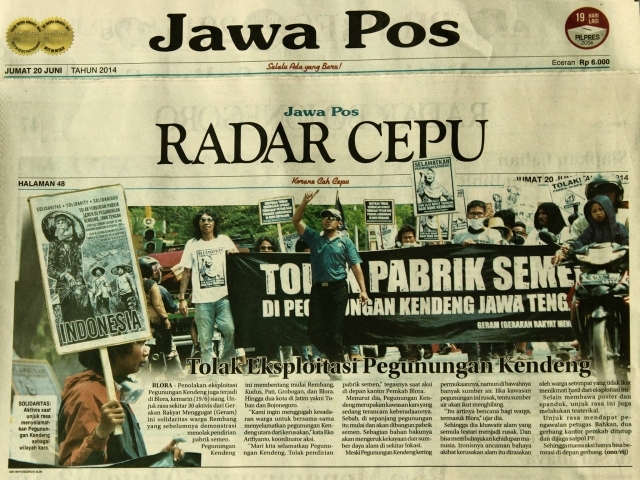 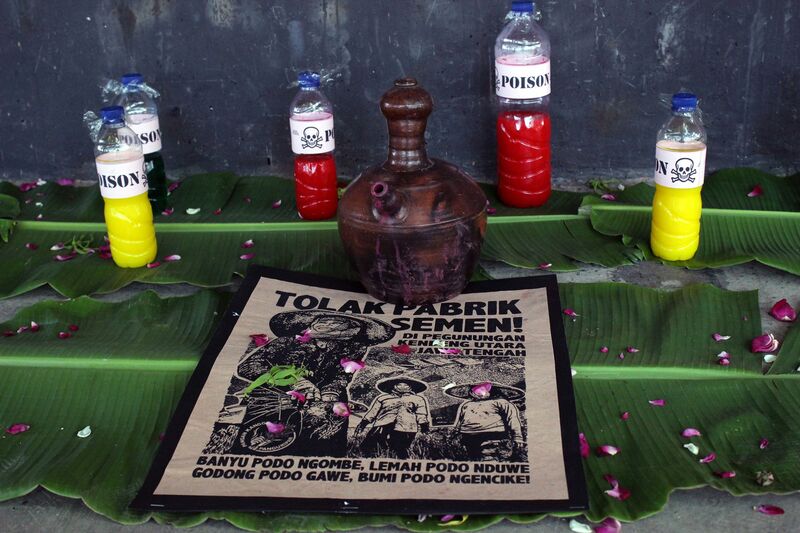 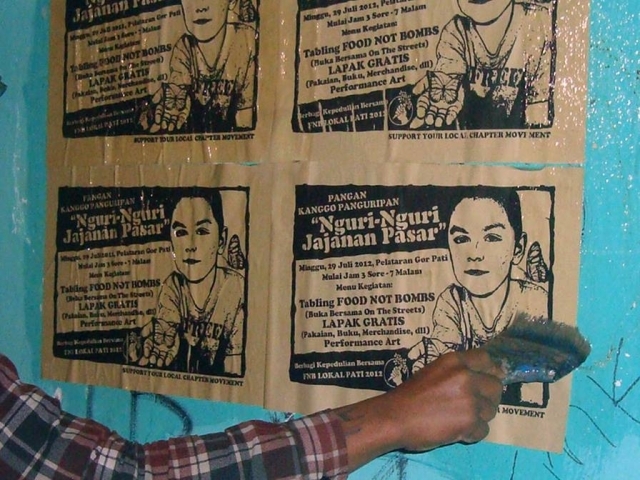 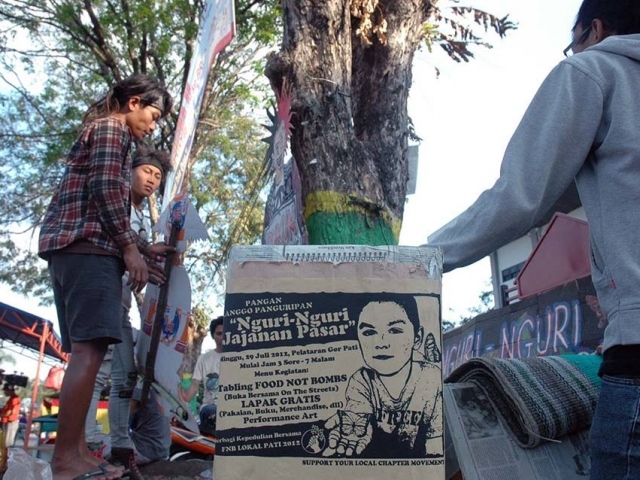 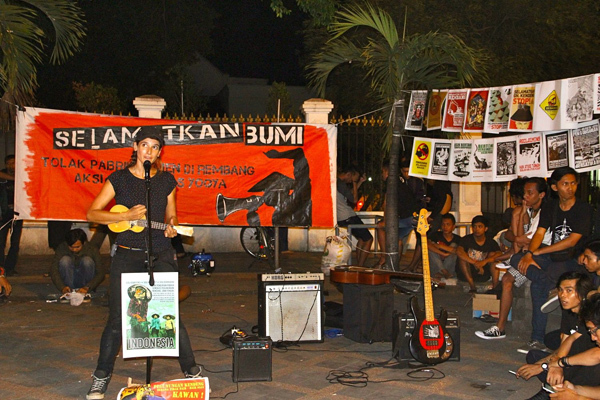 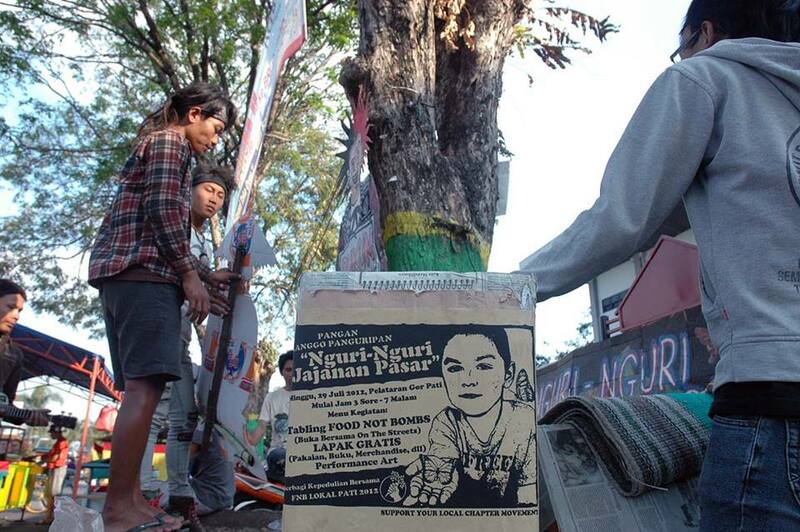 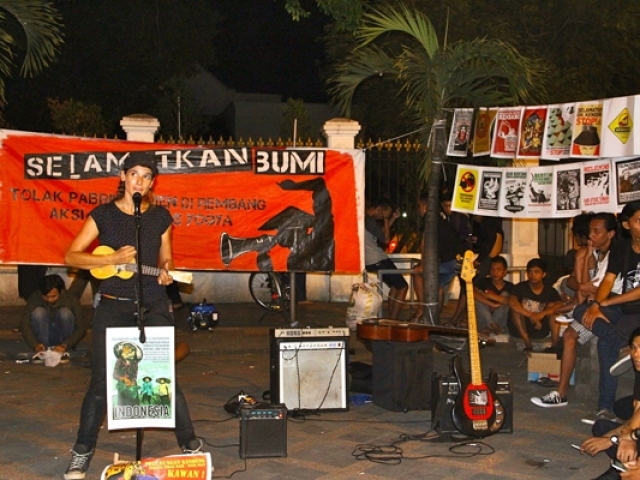 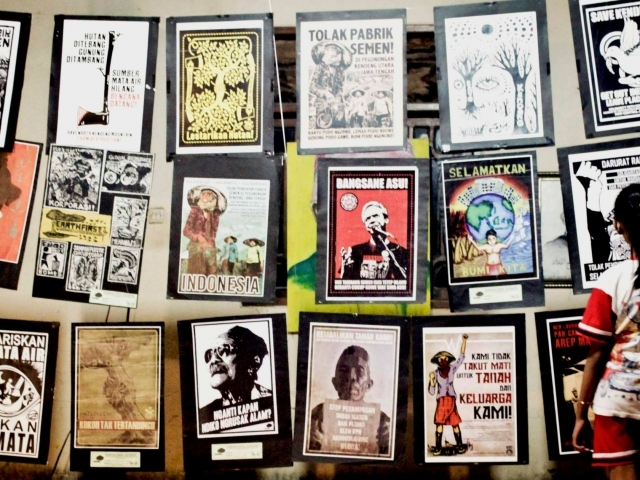 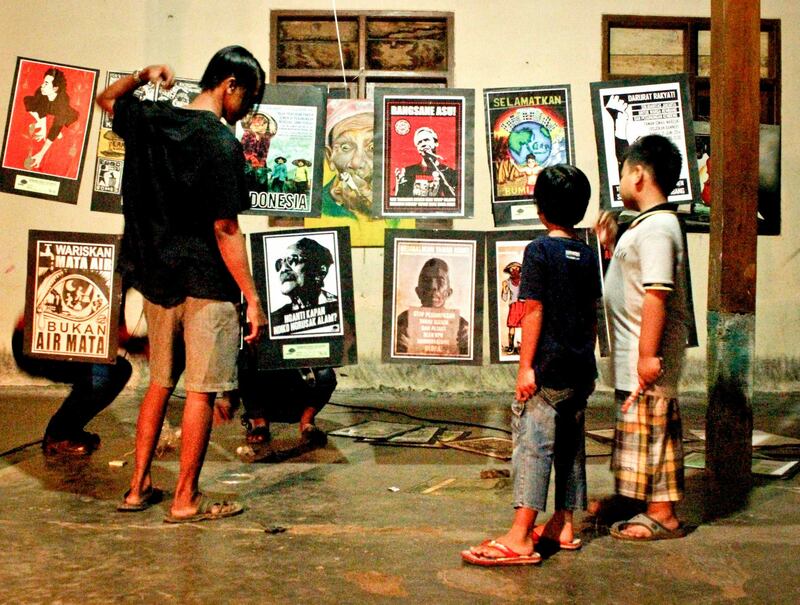 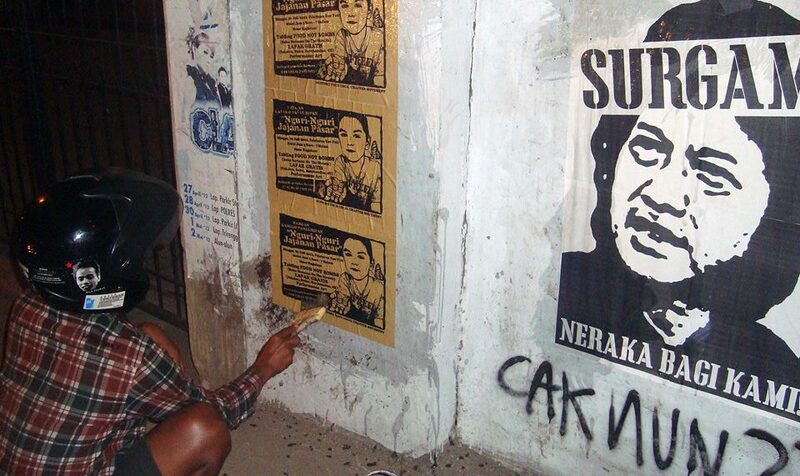 After an artist/activist from Indonesia shared some photos of posters his collective made for their organizing work I reached out and asked how I could help. 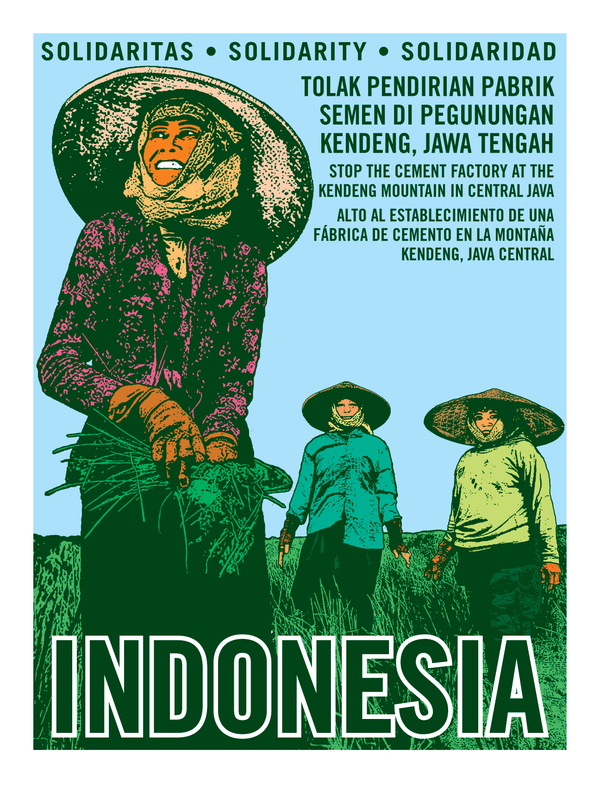 The poster they created with our images deal with issues of food distribution, water contamination and halting the construction of a cement factory close to a village in the nearby mountains. 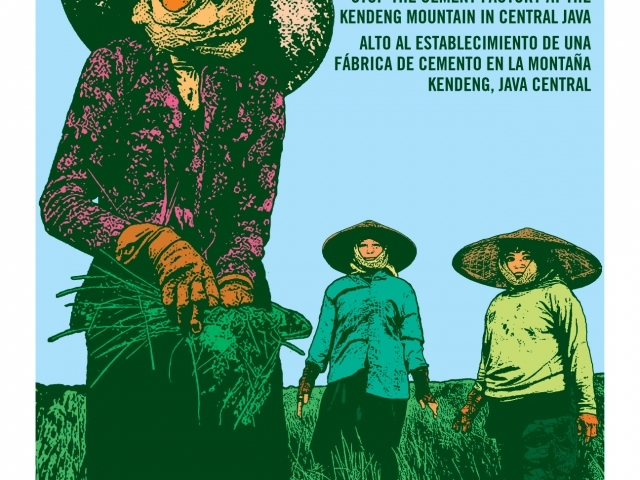 I was really moved and honored by their use of Dignidad Rebelde graphics in their work and after a few Facebook conversations we decided to work on a solidarity poster dealing with the cement factory and the effect its pollution caused will have on the people’s way of life. They sent some slogans and photos by Helena Lea to use in the poster. 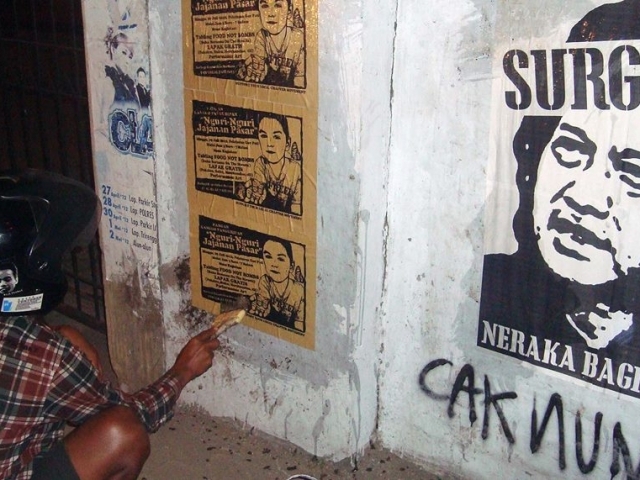 I used OSPAAAL (Organization of Solidarity with the People of Asia, Africa and Latin America) posters as a guide to structure the poster and as a gesture of solidarity and make it trilingual to reach a wider audience. 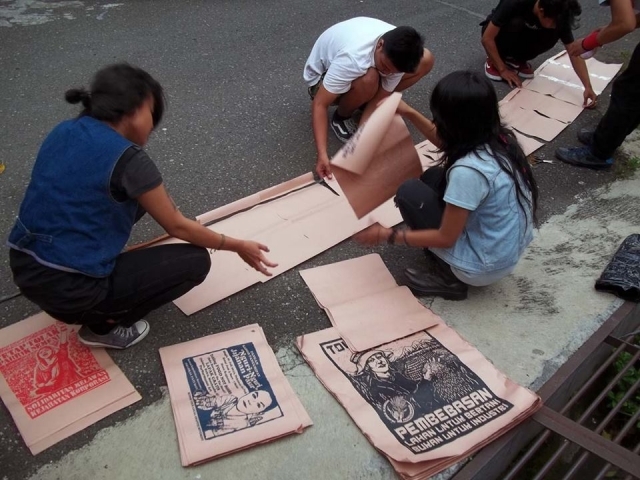 The design I created was shared online and the organizers printed color version and also screen-printed a one-color version that was distributed at local protests.